The new 2018 Subaru Crosstrek keeps the brand’s record-setting streak going. There’s more coming in 2018. Subaru scored a win as big as the Super Bowl with the all-new 2018 Subaru Crosstrek. Subaru of America (SOA) announced 44,357 vehicle sales for January 2018, a 1.1 percent increase over January 2017, and the best January in the history of the company. Subaru has now achieved nine consecutive years of record sales and exceeded 647,000 annual sales, a first in company history. It’s partly due to the launch of the all-new 2018 Subaru Crosstrek that had a 45 percent increase (9,437 units sold) compared to the previous January sales (6,507). 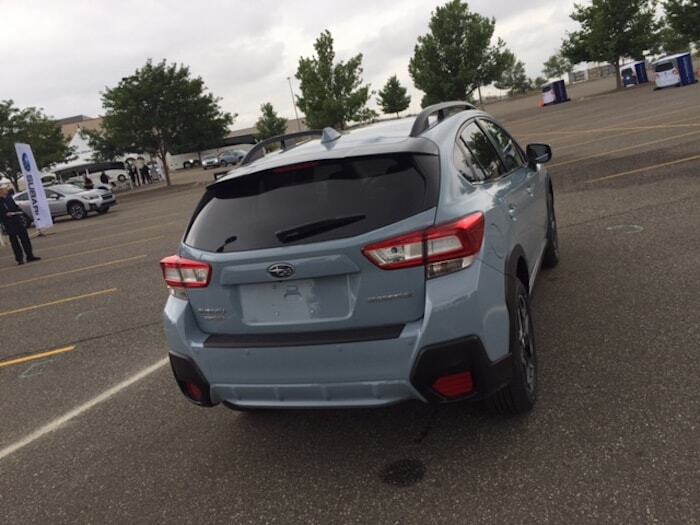 Impressive sales continue for the new Crosstrek which received a complete remodel from the ground up that was radical transformation. Both Crosstrek and Outback achieved its best January ever. Impreza and BRZ sales for January 2018 increased 4.8 percent and 15.2 percent, respectively, over the same month in 2017. All other models, Forester (-15.6), WRX/STI (-10.4), and Legacy (-15.3) were down in sales over the previous January. “In January, the all-new Crosstrek again exceeded our expectations and delivered an outstanding result,” said Jeff Walters, senior vice president of sales. The new Crosstrek has been selling well all over the globe. It’s also receiving lots of global awards for its new design and “go-anywhere” attitude. Subaru scored a big win with the new crossover’s complete redo. And SOA has more vehicles on the way. This month, February 15, will mark Subaru of America’s 50th year in the U.S., and they have 50th anniversary edition models of every vehicle in the lineup on the way. Subaru will debut the 50th Anniversary Edition for each vehicle in its 2018 line-up at the Chicago Auto Show that runs February 10-19, 2018. Subaru will limit the number of each 50th anniversary edition model in the lineup to 1050 examples (except WRX/STI and BRZ). 2018 Subaru WRX, WRX STI and BRZ sport coupe will get 1050 total examples for the performance line. WRX will get 600 Limited trims, WRX STI Limited will see only 200 examples produced and BRZ will get 250 Limited models in the special 50th anniversary trim. Subaru of America expects their sales records to keep going in 2018. The 2018 Subaru Crosstrek should keep rolling, and they will also launch the all-new 2019 Ascent 3-Row family hauler this summer, the new-generation 2019 Forester is coming this fall, and a new Subaru Hybrid model will also make its debut in 2018.